John Evelyn was a prolific English diarist and writer with considerable expertise on trees and gardening. He also took an interest in the rebuilding of London after the Great Fire of 1666. Evelyn's diaries, along with those of his contemporary, Samuel Pepys, provide a wealth of knowledge about the art, culture and politics of the time. Evelyn and Pepys corresponded frequently and much of this correspondence has been preserved. 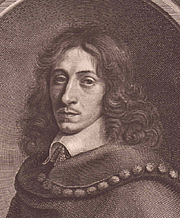 John Evelyn is currently considered a "single author." If one or more works are by a distinct, homonymous authors, go ahead and split the author. John Evelyn is composed of 2 names. You can examine and separate out names.